You can’t win talking about gender. Sheryl Sandberg acknowledges as much in “Lean In: Women, Work, and the Will to Lead.” So I give her credit for stirring up this hornet’s nest knowingly. Before the publication of this book, I knew very little about Ms Sandberg. I knew she was very senior at Facebook – poached from Google to help Facebook focus on monetization – and I believed she was smarter, better-educated, and harder working than pretty much anyone I know. Reading the book didn’t change this opinion of her. If you’re wondering how someone like Ms Sandberg does it all, you’ll realize the hard work she puts in, and the sacrifices in other areas of life that she has made. I read the book – actually, I listened to the audiobook on my commute – before reading any of the reviews or paying attention to the discussions that have sprouted up, so I was able to approach the book with a blank slate. And I found the book to be very engaging. She weaves a mix of first-person stories, gender stats and studies, and advice and encouragement. It was an effective way to expose the troubling realities regarding the challenges that women face in the workplace. Beforehand I thought I knew some or most of this, but I really didn’t. The study about how men and women are perceived differently when they succeed – even when the circumstances are identical – was particularly powerful. Ms Sandberg is careful not to attribute these challenges exclusively to men – pointing out that the studies show both men and women participate in maintaining unhelpful stereotypes about women who exhibit assertive behaviors or occupy leadership positions. The main audience for the book is women, most of the advice centers around encouraging women to take risks at work, but there’s plenty for men to learn from. I couldn’t help but wonder how often I have interpreted actions and behaviors through a gender-unequal lens; interpreting assertiveness as expected from male peers, but unexpected from females. I would like to hope it’s not often, but the facts as outlined in the book make it clear that this happening often, and men (and also women) just aren’t aware of it. Be a partner at home, sharing family and household duties. 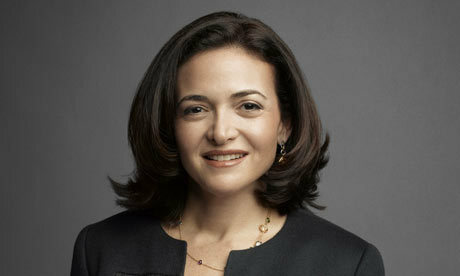 Ms Sandberg is clear that the purpose of the book isn’t to advocate for a radical re-structuring of the work environment, nor to exhort men to change their ways (although some of both might be a helpful byproduct); her purpose is to expose the current state of affairs, and examine the behaviors that individual women can and should do to climb the corporate ladder. Ms Sandberg is a brave woman. Brave because she made herself so vulnerable in talking openly about some of her anxieties, and self-doubts. Brave, also, because lots of people are actively engaged with their whole being on issues of gender inequality, and many of these people will be unsatisfied with Ms Sandberg limiting her scope to what individual women can do. They would love for her to offer more advice to men, to people who manage institutions, to society as a whole. But she’s only focused on a subset of women: those with the capabilities and interests to rise to leadership roles in government, nonprofit or corporate organizations. She acknowledges the importance and challenges of women who chose to stay at home, or those that have no choice, but her focus is on those who are able and do chose to focus on their careers. She believes that all women will benefit in a sort of trickle-down fashion, for example after she asked for priority parking spaces for pregnant women during her pregnancy, all women at Google would henceforth benefit from the change. Similarly, by speaking publicly about leaving at 5:30pm to be home for dinner with her kids, she hoped lower-level employees would feel more empowered to do the same (although she also mentions that after the kids are asleep she’s back on the laptop for more work – I wonder if that’s expected too?). I do think these will help a little bit, and that the increasing presence of women in leadership will reinforce a virtuous spiral of normalizing and encouraging women in leadership. I think this book will have an impact for people who approach it with an open mind. If you’re looking for a program to end gender inequality in the workplace, you will be sorely disappointed (like the authors of “Feminism’s Tipping Point: Who Wins from Leaning in?” and “Few Women can ‘Lean In’ Like Sheryl Sandberg”). p.s. I would encourage men to read the excellent HBR post Three Reasons Why Men Should Lean In.